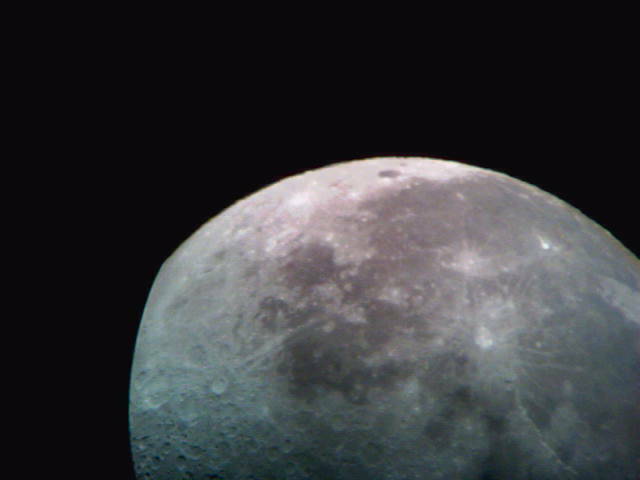 Our friend, Kate Magram, of Kirkos fame, took these shots of the moon last November 20, 2005, just as it was rising. 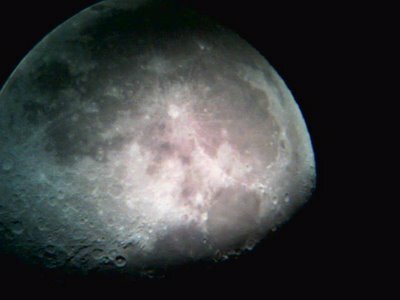 This was her first time taking any astrophotos, and she used a unique camera -- her cell phone. The other instrument was my telescope, which I lugged over to her roof that night -- the same night that Mars and Venus appeared at the potluck. A memorable astronomy session.